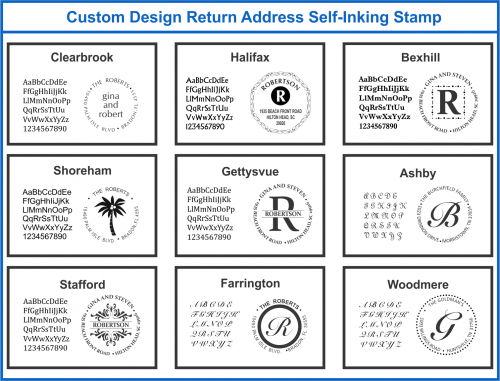 Choose one of nine styles and create your own unique return address stamp. 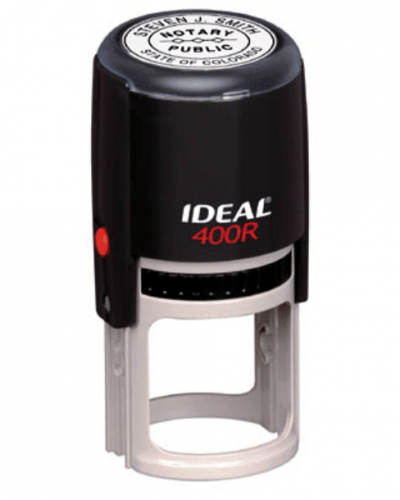 Select one of four ink colors (Black, Blue, Red or Green) to compliment your personal taste. 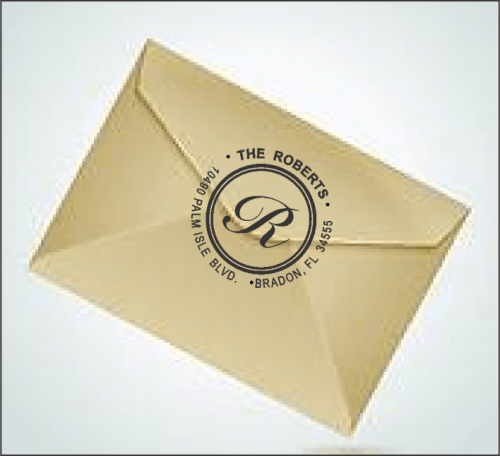 Your personal self-inking stamp is great for envelopes as ell as invitations, event notices, and other correspondences. It is also a novel gift for your family, friends, and clients. Address on bottom of the circle: Street, City, State, and Zip.